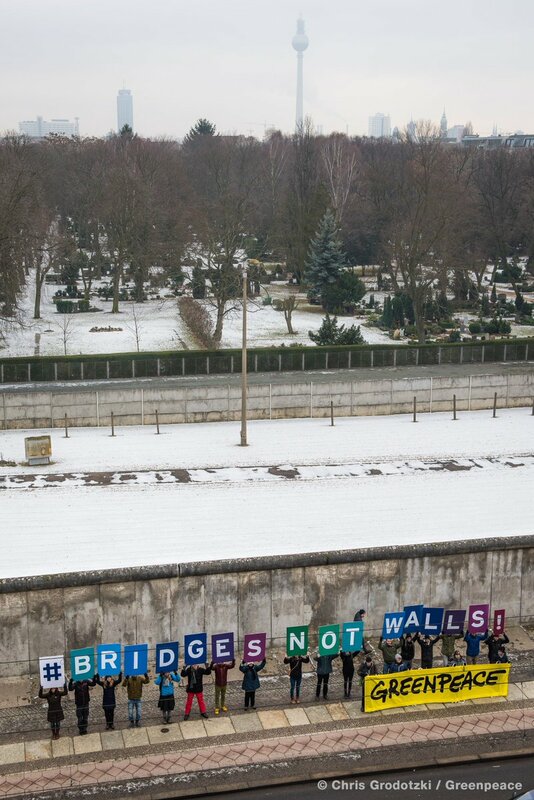 Friday 20th January 2017 is Donald Trump’s inauguration as US President and tomorrow a new campaign called ‘Bridges Not Walls’ will mark the occasion by dropping over 150 banners from bridges around Britain and the world to symbolise values of justice, respect, human rights and the truth . 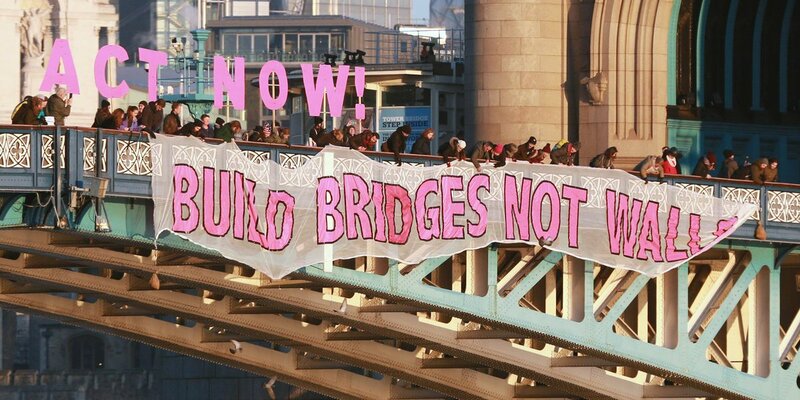 A 25m banner saying ‘Bridges not Walls’ will be dropped from Tower Bridge in Central London at 8:30am, followed by every major bridge across the Thames as far as Vauxhall. 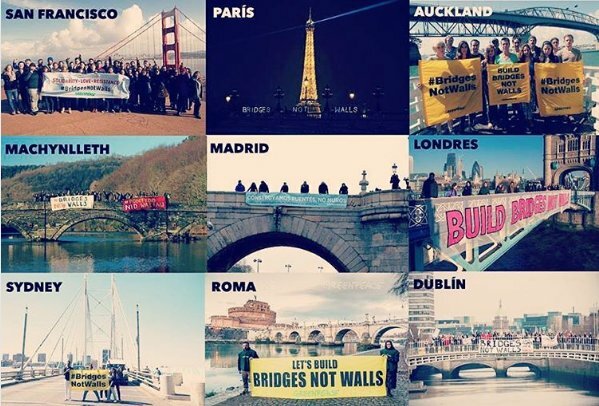 Banners will also be unveiled in the capital cities of the other three British nations, Dublin, Addis Ababa, Berlin, Rome, Oslo, Madrid, Toronto, Sydney and San Diego. 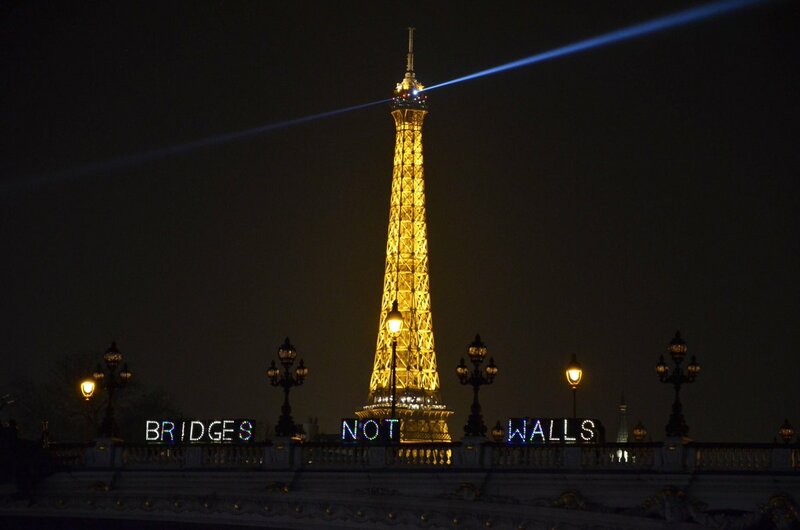 It’s a great idea and I’m looking forward to seeing some iconic images of the stunt in progress. 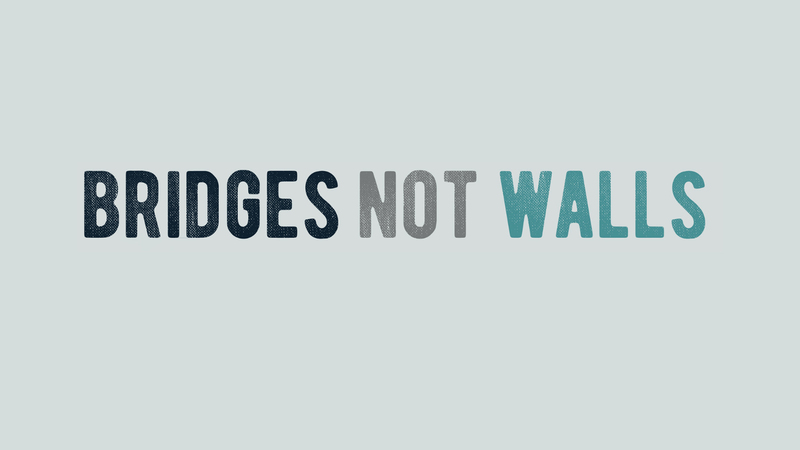 Bridges not Walls is a partnership between grassroots activists and campaigners, working on a diverse range of issues, formed in the wake of Donald Trump’s election.